"Cyan I choose you!" Spence's Samurott revealed itself in the flash of his pokeball, immediately roared and intimidating its foes. "Razor Shell, let's go!" The Samurott entered the fray, knock any legendary and Psyche soldier that tried to advance on the party. When Trevor's Vaporeon unleashed Hydro Pump, Spence combined the attack with his own, "Cyan, use Hydro Cannon!!" When the soldiers were defeated, Spence turned at Jimmy's approached. He was more surprised that he was still here, since Axel was so persistent to leave in the first place. "Jimmy, why are you...? No, it doesn't matter... Thank you for lending us a hand. I guess we can leave the questions for later." In a later showdown with a lone Psyche soldier, with thrust of duel-wielded blades, and in a takedown, Spence threw the soldier in a complete knockout. Spence took a deep breath, before looking to the wall to see an arrow pointing down the hall and through another corridor. The sign lend them to the hanger, there next destination. Spence turned to the party before turning back and running in the right direction. "It's this way, we better hurry." Walking into the hanger, an enormous airship docked, the airship called Invincible. It was impressive, to say the least. Spence didn't expect it to be so large. If Ki and Xalia left this here, was it because they didn't need it anymore if they wanted to Psyche Building and everyone in it destroyed? The large deck outside the ship meant riding it from the outside was also possible, most probably for pokemon battles in the sky and countering wild legendaries. Of course, it had the colour purple and gold. Psyche colours. Spence walked down the railing and entered within the ship, pacing through the autodoors and hallways of the interior, Spence awaited his confrontation with the man said to have cloned and injected his team. Moments later, he found himself at the bridge. Professor Sid was desperately at the control panel, apparently accessing the structure of the building, Mewtwo's current location, and getting ready the take off. "You..." Spence glared, gasping at the red siren that filtered from the hanger outside to window. "Damn... Mewtwo's about to take the hanger down. It's following us. Is everyone on the ship?" Spence counted both Bill and Gina, Wolf and Root, Trevor, Silas and Jimmy. The party questioned about the whereabouts of Alex and Sarah. They must have still been somewhere inside the building. Spence grunted, rushing back, "I'll be right back! I've still got see Mewtwo--"
"Stay put! You'll get us all killed! Hold on," the Professor pushed in coordinates from the ship, bringing up a holographic screen in front of them, "As long as the airship is connected to the building, we can connect to the building's surveillance. Hopefully, that last explosion didn't take out the security cameras... There!" The screen brought up two people still atop of the building. The camera zoomed in a couple of closer frames revealing their identities. It was Alex and Sarah. "Sarah... Alex... What are they still doing there...?" Spence whispered, staring. "We're heading out, you better hold on the something." "Don't worry about it, I'm not as heartless as you think I am! I'm their father, after all!" Suddenly, as Sid pulled the lever forward, the engine kicked in and the boosters shot a blue flame as the craft hovered upward in a blaze. The emergency lights of the hanger gates screamed, "We don't have time. Damn it, we have to push through. One of you, destroy the gates using your pokemon!!" Sid pulled the lever to full throttle, the airship accelerating through the fire and debris of the destroyed gates and made it through outside. The Psyche Building barrier was down thanks to Spence's battle and the Dragonites Dracro Meteors they both unleashed down from the sky. The airship zoomed far off before circling the structure of the building. Fire and hell could be seen from within. "Take us down, now! Let's get Axel and Sarah already!" "You don't have to tell me twice, Midnight Leader," the Professor reached to pull the levers. Suddenly, he hesitated. Spence gasped. On the deck in front of them, Mewtwo stood on the tip of the airship outside. It was if it was waiting for something. Spence glared, turning, "All of you, stay here. This is between Mewtwo and I... I don't want anyone to interfere." Sarah stared, spotting a beautiful and purple haired woman by the edge of the building. She wanted to tell Alex, who pulled her towards him, but Sarah refused and walked away. "Who is that...? Huh?" Suddenly, she had vanished. Sarah looked upward, was she starting at the sky somewhere. "What the heck is that?" She asked her. The airship hovering in the distance, where the others were aboard. A multitude of doors opened for him as Spence approached the deck outside, he walked along it was it withdrew both of his swords. He carefully walked towards Mewtwo. Mewtwo swiftly turned like it mimicked the breeze somewhat. "Mewtwo..." Spence said silently. The Professor, still inside the ship, made sure the monitor his conversation, everyone inside who hear Spence's words. "Please, Mewtwo, stop all this. Ki, Diseh and Xalia are gone. You don't have to do this..."
Mewtwo stared at him, seemingly unfazed. "Who are you...?" Spence gasped, wincing, "I'm your trainer, remember? It's me, Spence. I know I look different now... but it is me, I promise." "Spence.......?" Mewtwo eyed him, the white and purple figured at a lost for words. Mewtwo remembered a young teenager, not the oldish man before it. "We made a promise, remember? We were going to defeat Psyche... I know," Spence become saddened, lowering his head, "I know, after everything happened... Ki, Diseh, Xalia... after they were murdered, I lost hope and I abandoned you and the others... Mewtwo, I'm really sorry... Please, please forgive me, and stop all this. You don't have to be alone anymore." Mewtwo watched, simply listening. Suddenly, flashes of of mysterious man near killing him within the building. The familiar feeling, and similar appearances, only rose Mewtwo's anger. "No... You're not Spence... You're just like all humans... You just want to use or destroy me... Well, now the decision is my own..."
"No, Mewtwo! It is me! It's Spence!!" Before Mewtwo could start his attack on the airship itself, Mewtwo was stopped by an unseen presentence. From the screen Sid and the party saw, Spence watched and turned to something, as if another person was right there on the deck as well. Sid looked on in frustration, as Spence began to speak to a seemingly invisible person or entity. "Who the hell is he talking to?" The purple-haired woman walked from Mewtwo, walking beside Spence. "Mewtwo is not yours to command anymore. Your bond with Mewtwo is broken." "Broken...? My bond with Mewtwo...? Kikyo, why are you here?" "I came to watch the battle between you and Psyche. You were the chosen one. It was either to be you, Chayse or Shiny. You were the successor. However, you failed, and in the end, you were an unsuccessful clone." "What the hell are you talking about, Kikyo?! So I'm a clone, so what?! I don't care, but what about Chayse and Shiny, what happened to them?!" Spence let out a scream in frustration, "Just who the hell are you?! What do you want?!" "I left my will you the three of you. Just as I had Ki, Diseh and Xalia. However... you killed Zack without hesitation. You showed and now have helped me realise the truth of this world. Spence, Zack... Thank you for showing me this. This world has no hope, no future... After the team wars, I should have known the answer right away, but Zack held me back... he was wrong, this pokemon world only deserves one fate... destruction." "Kikyo..." Spence gasped, "Are you... their master...? My... master...? Kikyo..." Spence shook his head, "Stop this, you're wrong! As long as Team Midnight exists, their is still hope!" "Team Midnight, you say..." she turned her head, "Zack was right. There is no difference between Midnight and Psyche. They are one and the same, they cannot exist without one or the other." Spence growled, "No, you're wrong!" "Then, Spence, let Mewtwo and I will show you how pathetic this world really is..."
Kikyo disappeared as Mewtwo lifted off, shooting up into the sky above the Psyche building. Spence gasped, looking on in horror at the two, Alex and Sarah beneath it. Mewtwo was charging a devastating attack. "I'm on it! Hold on!!!" The airship's boosters rocketed for the building. Could they save them in time? The airship's deck pulled up to the side of the building, Spence extended a hand. "HURRRY!!!" Spence yelled. Alex pulled Sarah, jumping a leaping off the side of the building and grasping Spence's hand. Suddenly, Mewtwo fired Hyper Beam from above. The light of the beam screwed the controls of the airship. Sid struggled to keep the ship airborne, yelling. Spence pulled them in, trying to hold onto the airship himself, "ALEX!!" Spence roared. Sarah was losing grip of Alex's hand, she closed her eyes in a smile. "Spence, I always thought of you as my hero... Please, don't let me down... Alex, I never thought of you as a brother, but I always thought of you as my best friend... Spence... Alex... Thank you......." Sarah let go of Alex's hand, falling into the destruction below. "SARAHHHHH!! NOOOOOO!!!" Spence pulled Alex in as the airship lifted up finally, the airship bounding away before Spence was ready to jump for her. Trevor had made it in time, grabbing and holding Spence down by the shoulders. If they had both jumped, they would have both been dead, "Let me go, damn it! LET GO!!" Spence turned and slashed at Trevor, but it was already too late. The airship almost fell out of the sky but Sid pulled her up and took off, a tear falling from his eye. The building, including half of Saffron City, was almost completely wiped out. The impact of the Hyper Beam was similar to the devastation of a nuclear weapon. Sometime later, the airship dropped down and landed in Lavender Town, Spence, Alex and Trevor still on the deck. Spence had fallen to his knees, beating the deck again and again and again, "Sarah....... Sarah....... I'm sorry...... I said I would protect you..... I'm sorry...... Diseh, Tori....... I failed you......."
Tornadus zoomed amongst the guards. It whipped up a Hurricane in the corridor, blasting away soldiers and Pokemon. Gina's Gardevoir followed, her Psychic taking care of the remnants. Bill and Gina slashed forward at their opponents, taking them out. Then they rushed behind Spence and followed him on the airship. Alex and Sarah were at the building top. Spence was outside, talking... to something. Suddenly Mewtwo rose off the ship and flew above the building. Bill cursed. "C'mon, G!" He rushed out of the control room towards the deck, following Trevor. Gina ran after him. Bill reached the deck, but it was too late. As Mewtwo fired the Hyper Beam, he and Gina could only watch as Alex and Sarah danced on the edge of the razor... and then Sarah fell. Spence screamed and tried to leap after her. Trevor grabbed him in the last moment as the ship flew away. Below them, Saffron City turned into a hell on earth as the building's explosion wiped it out. Bill dropped to his knees. Sarah... Dammit, Sarah... "SARAAAH!" Gina leaned on his shoulder, crying. In front of them, Spence, Alex and Trevor looked just as devastated. As the ship lowered near Lavender Town, Bill finally got up. His face was empty of any feeling. Gina watched him as he walked to Spence. "Look at me, Midnight leader. Look at me and tell me everything. All that you know. No more secrets. Sarah died today... tomorrow it might be Gina or Wolf or me. And if I am to die, I wanna know for what I'm dying. So no more silence. Time for the revelation." Gina had gotten up and moved towards them. She stood next to Bill, both bled and battered, their eyes red from the tears. "Yeah. Tell us everything, Midnight leader." Alex sat silent for the ride back to Lavender. Through Mewtwo's destruction, Spence's outburst - all of it. Upon landing, he could make out Jimmy trying to say something, but his ears wouldn't hear it. After the ship had landed, Alex stood with Trevor and Spence. He watched, emotionless as Spence beat the deck with his fist. He could feel a subtle burning in his belly. A feeling he'd become all too familiar with over the years. The scene of watching Sarah fall played over and over in his head. He grit his teeth in anguish and turned away from the other two. Jimmy sat around with the others on board restlessly. "I don't know about you guys...but I need to get a bit of fresh air." He stood to his feet, gripping his cane and hand, before taking his leave up to the deck. Spence pounded with such ferosity that it seemed to echo through to the interior of the ship. As Jimmy had made his way on deck, he nearly collided with Alex. "Out of my way, kid..."
"Where are you off to in such a rush?" "Wherever the road takes me. Back to Saffron, I guess." Jimmy scratched his head. "Yeah...that's not gonna happen, mate." Alex narrowed his eyes and tightened his fists. "You're going to move...or I'm going to move you. What are you gonna do? Try to kill me again?" Alex raised his eyebrow challengingly. Jimmy frowned slightly. He ignored the question, hoping nobody had heard it. "We've lost two members just today. I know Sarah meant a lot to you, but Axel meant a lot to me as well. That's no excuse to abandon the rest of the group. The rest of us still need you here." The thought of Axel's demise hadn't even crossed over Alex's mind. Given, he knew the man only as a hothead, he also knew the feeling of loss. "That's different..."
"How?! How in the hell is it any different? She was your sister - Axel was like my own flesh and blood. He protected me as you protected her. In my book - it doesn't leave too much room for a gap." Alex felt the burning in his belly again. He clenched his teeth and shoved Jimmy back down to the deck of the ship. "Its different because its my fault! My foolishness is what got her killed! I swore to protect her and at that moment I broke that promise because of petty spite." Alex shook as he fought to conceal the tears building up in his eyes. Jimmy lay silent. He watched up at Alex in a loss for words before slowly getting to his feet. "Do what you want...but you'd better think about who you're leaving behind." Alex let out a heavy sigh as Jimmy left. The darkness welling up inside was just another one of those familiar feelings that he'd grown to push away up until now. Jimmy turned back to make his way back to the hangar in search of Professor Sid. Once he'd made his way back, he leaned against the wall nonchalantly. "No hard feelings, right? Despite your efforts to clone and essentially destroy us...I must admit, I still have a sense of respect for your work. So...I'd be ever so honored if you could teach me. It may be surprising, but I actually do have a vast amount of intellect, especially when it comes to genetics and biology. Furthering my studies can only help..." He waited patiently for an answer, apathetic to the aspect of crossing any lines of trust between Midnight and the scientist. Last edited by Saint_Jimmy on Sat Feb 16, 2013 12:10 am, edited 1 time in total. As the group fended of the last of soldiers Spence combined his Samurott's Water Cannon with Vaporeon's Hydro Pump, blasting away any opposition. Everyone took off towards the hangar, Trevor recalled Vaporeon and ran after them. The hangar was huge and it was understandable as he saw the large flying vessel that they were supposed to take. A man in a labcoat waved to them to hurry. That must be the professor. Soon everyone was on board and Trevor saw as Spence did a quick check. He realized as Trevor figured out that Alex and Sarah weren't with them. The professor stopped Spence before he could jump out, pulling up the two on a security camera on the roof. "Don't worry about it, I'm not as heartless as you think I am! I'm their father, after all!" Suddenly, as Sid pulled the lever forward, the engine kicked in and the boosters shot a blue flame as the craft hovered upward in a blaze. The emergency lights of the hangar gates screamed, "We don't have time. Damn it, we have to push through. One of you, destroy the gates using your pokemon!!" "I'll cover that. Latios Dragon Pulse!" Trevor pointed at the hangar doors. Latios blasted out a ball of blue energy, shattering through the metal. "Excellent work bud. Now time to go back in your old pokeball." Trevor enlarged a Cherish Ball and recalled Latios. Trevor gripped onto one of the bars hanging from the ceiling as the airship climbed around the building. Everyone looked shocked as the Mewtwo from the pillar was now standing on the airship. "..................s**t.", was all that Trevor could say. Spence said it was between him and Mewtwo and went out on the deck. An odd conversation was being watched as Spence was originally talking with Mewtwo, then....with someone who wasn't there. Then Mewtwo teleported, appearing above the Psyche building. "What....is that thing.....doing?" Trevor walked slowly to the window as the airship jutted towards the building. He slammed into the glass before regaining his footing. Trevor saw as Mewtwo began charging a white energy between its palms. He felt a knot form in his stomach as he started to guess what attack that was. Spence, Alex, and Sarah could be seen outside. He didn't think twice as he ran to get outside as he saw the two hold hands and jump towards the ship. As soon as the last door opened to the violent wind, a bright flash blinded Trevor. Mewtwo had fired its Hyper Beam. That's when Trevor saw the figure falling......Sarah falling into the blast. Trevor ran over to Spence as he threw Alex on board. Spence was about to jump after her but Trevor grabbed him with both arms. Spence was flailed while Trevor struggled to hold him as the airship soared away from the destruction. Spence managed to get a sword around and slashed him across the chest. Trevor bit through the pain and swung Spence around, slamming him into the ground. He struggled a bit more before giving up. Trevor looked over at Alex, a statue against the storm-like winds. "Alex get inside! There's nothing more we can do, now go!" Trevor half shoved him into the craft as he drug Spence. He flung Spence onto an empty seat and looked down at his sliced shirt. The wound was moderately deep and blood had stained majority of his shirt. Trevor sighed as he leaned against the wall, pulling his hand across his face. A few tears were swepted away from his eyes. He didn't know what to think. She was gone, Sarah was gone. He didn't know her well but she was with the Team from the beginning. Her kind heart reminded him of Green, one of his comrades during Color's time. Trevor slowly walked into the control room of the ship and stared out at the rising sun. He looked over at the professor and saw that he too was mourning Sarah's loss. Even though he was never a part of their lives he still loved them as much as if they were. The airship landed back where it all started, Lavender. Trevor picked his head up from his hands and stared out of the window. Why here of all places? This even worse than being at Saffron after everything that's happened. He jumped as Spence began slamming his fists into the sloor of the ship, wincing at every slamming noise. Trevor watched as Bill walked over to Spence and asked him what we were all dying for. He saw as Alex slammed into Jimmy and the two argued. Trevor got irritated at how the group was falling into pieces. He stood and placed his hand on Bill's shoulder, "I think you and the rest of the group should step outside for a moment. Spence needs to collect his thoughts and then he'll answer your question, all of our questions." The group looked oddly at Trevor as they walked out. He saw Jimmy walk into the control room with the professor. Letting out a deep sigh, Trevor looked at Spence, who was still hitting the floor. He ran over to him, picked him up by the collar, and slammed him into the wall. "Is this what Sarah would want you to do at a time like this?!" Trevor was yelling at Spence. Trevor slid him down onto the bench, "NO! She'd want us to finish what we started, and now we have an even greater reason to do it. Now you need to pull yourself together and be our leader." Trevor waited to see how Spence would react, bracing for any kind of responce. Last edited by redt on Fri Feb 15, 2013 6:29 pm, edited 1 time in total. Wolf and Root made it safely onto the ship. It was close, but everything happened so fast. Once aboard, the ordeal wasn't over. A rescue attempt made to get Alex and Sarah was blotched by Mewtwo. In the end, the airship left Saffron, containing Team Midnight minus one, a pissed off Spence, a heated Jimmy, and a remorseful Alex. "I'm sorry for your losses, but at least you can rest knowing their gone." Wolf said. "I have people who use to depend on me. Hell, one of them still is." He choked back tears. "As of right now, a friend of mine could be in a grave in Cerulean because he starved to death." Wolf lifted his head. "My sister, my only family member left, could be dead at the hands of Psyche for all I know." A tear rolled down Wolf's face at the thought of that. "Keep the ones you've lost close to you. They mustn't die in vain. I'm sure your pissed at Sarah's death, and you have every right to be. Does that mean you should give up now? I never gave up through most jobs I've been given, neither should any of you." Wolf smiled. "If you feel like avenging her, there's always Team Psyche." Wolf looked at the scientist. "Also, what did you do to me? I want you to be honest. Our lives may depend on it." Root took a seat by a window and took out her rifle. Taking out a magazine of armor-piercing rounds, she loaded the rifle and set herself about a yard away from the window. "In case any of them try to follow us, however hard it may be for them, I got us covered." They landed in Lavender, and Wolf got off. He was glad to be on the ground again, and it was a less-hostile area and situation. Wolf smiled at the thought of it being peaceful. It was a change of pace compared to the last few weeks. Appearance: 5' 9" and 159 pounds. Wears a blue jacket, green hat, orange shirt, white pants, and black shoes. Body type: Physically fit; not muscular, but not small either. Other physical features: Usually has a goatee, or is shaven. He generally changes his facial appearance whenever he gets a chance. Speech style: Clear, with a somewhat deep pitch. General demeanor: Aaron is a laid-back kind of person, but his mind tends to wander, and that reflects in his personality. He is outgoing. Best qualities: Aaron has a sense of compassion that he gives to others nearby. He isn't afraid to do risky activities, and this tends to pay off. Worst qualities: While he does come up with great ideas, most of the things he suggests are short-sighted, borderline stupid. One downfall for him is he is a womanizer. Usually charges into things without thinking. Impatient and generally short-sighted. Childhood history: Growing up, Aaron had only two friends: David and Torren. By the time they were eight, the trio made quite a team. Aaron was the mind, Torren was the 'crafter' and David was the strategy and muscle. The three were poor, and built a reputation in the community by 'flash robbing' ice cream trucks ((In a nutshell, think of it like the first act in this video.)) and other stunts. They gained attention for it, but no action was ever taken. Around the time David decided to leave, a random shootout between a lone rebel and a unit of Psyche soldiers left his parents dead. Feeling no ties to the City, he left with David and Torren, where their shenanigans continued. At age 13, Aaron caught a Vulpix and named her Tales for the fact of what may lie ahead for the three. At age 18, they all came back to Cerulean. Two weeks afterwards, Aaron's life was cast into the abyss when David came into the house and left in a hurry. The only glimpse the two caught of David was imprinted into their memory when they saw him slip two bloody shortswords into two scabbards. They soon left and the three went their separate ways. Plans for the future: Reunite with David and join him, or bring him down in the process. ((Little sidenote: I plan on having Aaron replace Root sometime in the future. Not telling when, but I plan on it. Last edited by Haunted Water on Sat Feb 16, 2013 8:20 am, edited 1 time in total. "We should be alright for now, since they can't track us here... At least, Number 7, Catherine, couldn't." The Professor was resting on the control panel of the Invincible, almost unemotional after the current events. Sid had shed his tear, that was enough. Besides, he had abandoned Alex and Sarah a long time ago. He wasn't their father, not anymore. Besides, Alex had defeated him, the one who he had originally dismissed as unworthy. The Professor didn't have anywhere to go now. He was a foolish scientist who created such monsters like Red, Axel, Cathy, along with three new clones yet to make an appearance. A shine to his tilted dark glasses hid the shame, sins, and past mistakes that he buried a long time along. "So, I'm back to the beginning... Funny, isn't it?" Sid murmured, examining Lavender Town through the front of the ship's helm. Perhaps his shame was swelling back up inside. What else was left to do, Diseh was...? Suddenly, Sid turned as Jimmy entered, intrigued with his sudden appearance. Jimmy leaned beside the bridge's exit behind him, "Oh?" "No hard feelings, right? Despite your efforts to clone and essentially destroy us...I must admit, I still have a sense of respect for your work. So...I'd be ever so honored if you could teach me. It may be surprising, but I actually do have a vast amount of intellect, especially when it comes to genetics and biology. Furthering my studies can only help..."
The Professor chuckled, "Oh? An apprentice? I wonder what my pride and joy Axel would say..." he spoke coldly, "Well, I was wondering what fate had in store for me. Perhaps you've given me some hope yet. Depending on what your leader has to say about it... I'd gladly teach you. However, keep in mind that my work requires that one has no conscious whatsoever. Genetics and biology is only the half of it... Besides, what I do is inhumane, after all." Bill and Gina's words flooded Spence's head. He refused to answer, too messed up. He didn't have it in him to say anything. Sarah was... killed. He didn't blame Alex, the professor, or the clones... It was all his fault. Trevor ran over to him, picked him up by the collar, and slammed him against the wall. "Is this what Sarah would want you to do at a time like this?!" he yelled, "NO! She'd want us to finish what we started, and now we have an even greater reason to do it. Now you need to pull yourself together and be our leader." "I just..." Spence glared to the side. He was ashamed at himself, embarrassed that they still called him that. A leader of what? Every time someone called him that, it was like a blade twisting in his stomach. The sound of it just made him feel angry, "...I figured I would save the world, make a better place for Sarah to live in... But all ever did was put her and everyone in danger, and for what?! Axel was right. I don't even know what I am anymore!!" Trevor clenched his fist, pulling Spence back up before punching Spence in the mouth, "So what if you're a clone?! Axel was too, but he still gave it everything he had to protect Jimmy! Even Red! He never gave up in what he believed in! Take a good look at yourself. You're just wallowing in guilt, aren't you? Pull yourself together!!" Trevor threw another punch, this time, Spence grabbing it. Spence threw a heavy punch, belting him across the room and slamming Trevor against the opposite wall. Spence got himself up, glaring towards him, "Don't think just because you beat me once means you're stronger. I'm stronger than you, and I always will be." Spence said coldly, beginning to snarl, "What would you know what Sarah would have wanted?!" Spence walked out of the airship, leaving Trevor where he was. A young woman sighed as she hid a few pokeballs in the bedroom cupboard, "Now who could that be in this time of day?" She opened the door to be surprised by a familiar face, "It's--- Wow, you've grown old!" She had long dark brown hair with blonde highlights, twirled around into a ponytail down her back. Gazing into her eyes, they were the colour of a mystical light green. She was fairly pretty. Spence flinched, muttering under his breath. "Oh, sorry! Hehe... It's been a long time, Spe--" She noticed he was companied, and the shake of the head and look Spence gave her stopped her mid-sentence, "I get it," she winked, approaching the others beside him, shocked to see even more familiar faces, "Alex, Liv! It that really you?! I haven't seen your faces in forever! Why haven't you come and visit me?" she glared, giving a grin afterward, "It's lovely to see you both." "You know them?" Spence asked, smiling, "Well, this will be easier to ask then; can they stay here for awhile? Things have gotten pretty crazy in Saffron City, they need a place to lay low for a bit. You understand." Sarah nodded, "It's my pleasure. Please, come in inside, all of you. And your friend is welcome as well," she eyed Silas, spotting his pokemon, "Naw cool! Is that a Medicham?! Let me see!" she jumped and shook its hands, "Pleasure to meet you! I'm Sarah! What's your pokemon's name?" "Hahaha..." Spence shrugged, placing a hand onto Silas's shoulder, "As I said, you're quite welcome to stay here." "Sure," Sarah stood up, "There's empty rooms here for travellers such as yourselves, and a basement if you feel more secure there. But..." she eyed the weapon Alex had on his person, "I'd appreciate it if you leave them by door in the cupboard here. This is a pokemon friendly house. And by the way... Spe---" she turned, but Spence had already gone, "Wha? Wait, oh..." She wondered, wasn't he holding a bunch of flowers? Then, that must have meant he went to visit... them... She smiled warmly to herself. "Please, make yourselves at home," she gestured to the three. Spence walked the streets of Lavender Town within the dawn's darkness, not particularly knowing where he was going. Eventually, he found a cliff, one that oversaw Saffron City burning in the distance. Spence gazed outward, spotting Alex sitting not too far away. Spence walked over. Spence walked until he met the edge of the cliff. Alex didn't say anything or took any notice. "...Liv's probably waiting for you back at Sarah's, you know." A cold wind blew into the two. Spence spoke up, seemingly calm, "...It wasn't your fault, you know? You did everything you could. I was the one who got you all involved and within Psyche's grasp. It's my fault Sarah is--" Spence's eyes wondered, "...You two grew up together, you knew her more than I ever did. Trevor asked me earlier, and I couldn't answer... Tell me, Alex, what would she want us to do...?" Spence sighed, gazing out into the distance, "Before we had first set out, I promised Diseh and Tori that I would protect her like it was the easiest thing to do. I let them down, and now, I don't even know if I can promise you or the others anything. I was never a leader, but I wanted to be. I was never the strongest, but I always tried. When I was young, it was always Ki, Diseh and Xalia who beat me in pokemon battles. I was always the weakest. I never thought for an instant that I would be fighting them again, this time on different sides. Even if they are clones of their originals, they were my friends. But now, they're my greatest enemies." Morning had come, no more fog outside than yesterday in Lavender Town. Spence yawned and stretched awake from his chair as he heard the pacing of footsteps. With a groan, he pulled himself up and went to see what was going on. Sarah was busy packing a suitcase. She had made her decision last night. "What do you think you're doing?" Spence asked. "I said I'd take care of you, not like this. I don't want you involved. I don't want you to get hurt." "I'm already involved, aren't I?" "Anyway, who's going to patch you guys up if one of your friends get hurt? Certainly not anyone who only knows how to throw a sword around and bark orders at pokemon," Sarah remarked, packing medical supplies. Spence couldn't argue with that, "...They're not my friends... Besides, is this what Diseh and Tori would've wanted for you?" Sarah stopped, eyeing the pokeballs in the cupboard, "...I don't know, because they're gone now... But, they lived their lives trying to make a difference, trying to help you... I want to at least do the same, if not for you, for myself. Can you at least try to understand that?" Spence sighed sadly, trying to find another reason why she should stay, "...I know what you're trying to do. I just don't want you to get hurt the same way..."
"But you won't let that happen, right?" Sarah froze, looking to Spence. He gazed, taking a deep breath as he looked away, "...No, of course not." "Good!" Sarah grinned, shutting and dropping her already packed suitcase to the floor. Trevor placed a hand on Bill's shoulder. "Don't tell me what to do, Trevor Farrow! I have a right to know what I'm doing here, right?" "Bill." Gina's voice was cracked, defeated. "Please... no more fighting. What would she say?". Bill let his shoulders slump. "You're right..." He turned to Trevor. "Sorry man. I didn't mean to sound like that. I lost control." He walked out, and Gina followed. "Take your time, Spence." As Spence stormed outside, Bill walked to Trevor, a bitter smile on his lips. "Looks like you calmed him alright... Here." He helped Trevor to his feet and looked after Spence. "Where's he going?". "I guess he just wanna get everything sorted out with himself." Gina muttered. "Let's hope he can." She then turned to Trevor. "You look like you could use some treatment... here.". She handed him her backpack. "You might regenerate, but they will help." She sat astride Bill's lap and closed her eyes. Let's hope things will pick up some good pace for once. A young boy clenched his fists and inhaled deeply before bracing himself to run up to the second floor of the Pokemon Tower. Not far from the staircase, a young girl not much younger than himself sat crying while a Gastly wavered around her head. Without thinking, the boy threw his arms into the air and screamed, dashing straight toward the two. Once alert, the alarmed Gastly quickly vanished. "Sarah, what are you doing here? I told you never to come up here alone." She wiped her eyes as the boy helped her to her feet. "I know...I'm sorry. I thought I heard a pokemon crying." She still sobbed quietly as the two walked back down the staircase hand in hand. "Alex...thank you for protecting me." He grinned back to her. His face filled with pride. "I'm always gonna protect you. Its my job, after all!" Alex sat alone against the edge of the cliff. His red eyes peering over a smoke-filled chasm. Without his immediate notice, Spence approached from behind and began speaking. "I don't...really want to see her yet. It sounds weird, but I'm not ready." Alex inhaled deeply and got to his feet. The brisk wind seemed ineffective on the two. For some reason, he couldn't bring himself to face Spence either. "You can't blame yourself, either though. We all knew what we were getting ourselves into when we joined your cause. Speaking logically...it was only a matter of time before we suffered local casualties." He realized how cold he sounded and slightly hated himself for it. After all, this was war, right? "In a sense, we're lucky we got out of there with the numbers that we did. Axel was a strong trainer...and Sarah...she was my best friend...but if we dwell on their losses then how are we supposed to progress in defeating Psyche?" He took a few steps toward Spence before stopping again. "These losses aside. You're still our leader. If you back out now, you may as well just count the rest of us as dead. Most of us would have nowhere else to go, others are AWOLs from Psyche. What would they do? In a perfect world, none of us would ever have a care in the world, but this world is far from perfect. Everybody makes mistakes, Spence. We need you as a leader. You're the only one of us who's capable of it. Besides, if Sarah would have wanted anything it definitely wouldn't be to quit. You know as well as I do that when she sets her mind on something, she sticks to it. Its only right that we do the same." "Inhumane?" Jimmy chuckled. "What an interesting term. We're living in an age where science and anarchy govern the entire world. Us Rockets have become the products of war and fear. There's no room left in our society for the ancient ideals of humanity." He straightened his posture and held his cane in front of him with both hands. He spoke deeply and quietly as to make sure none of the other passengers were able to hear their conversation. "Ahh yes...your 'son'. I wouldn't worry too much about him. As far as he and the rest of them are concerned, I'm nothing more than a mischievous child - a petty crook. To be quite frank, I don't trust this band of rebels anymore than I could throw them. I expect you don't either...considering the better half of them would like nothing more than to see your head on a pike." Jimmy motioned his head to left quickly, then again to the right, cracking his neck. "You must understand Psyche's fall is imminent. Spence and Midnight have already created an enormous dent in their plans. The help of Diseh was unexpected, I must admit. As well as Mewtwo's escape. I see this newly found apprenticeship going well though. After all, its all just comedy and tragedy." Jimmy grinned darkly. Spence chuckled a little, seemingly feeling content, "...You're right. Sarah was always so stubborn, just like me." Spence grinned to himself, "Thanks, Alex... You know... Sarah was proud of you." "If there's one more thing I could ask you, Alex..." he gazed in a stare off into the distance, "If I ever do something that Sarah wouldnt condone or do something that she would never want... I want you to be the one to stop me, in any way you can, even if it means destroying me." Spence turned and began to leave before Alex had the chance to reply, "Tell the others to meet me at Sarah's. I've kept them in the dark too long. Before I meet you all there, I've got something to discuss with your... father." "It would be my pleasure to have you as an apprentice, Jimmy... Or, should I refer to you as Giovanni?" he smirked. Spence approached the bridge of the airship, noticing Jimmy talking to Sid. Spence glared, approaching the doorway as the two noticed his arrival, "Jimmy, if you mind leaving us, I've some words to discuss with Sid." Jimmy promptly left the two inside the airship. The professor turned his back to Spence, "So, as leader, now what are you going to do?" "I'll discuss that with my group. At the moment, you've no part of it. You had no right speaking to Jimmy, after all you've done." "What? Freeing you and helping with your escape? Funny, I thought you'd me thanking Diseh and I." Spence grunted, "You know why. Besides the clones and everything you've done to my group, I know what you are, who you really are." "You mean, that I am both Alex and Sarah's father?" The professor laughed. "Whether or not you were once their father means little to me. The aspect of why Alex still thought of you as such before all this does. The first time I met Alex at Saffron City, he was heading to the Psyche Building, after you. He wouldn't have done that if he remembered you as a monster... I wonder, what changed..."
Spence reflected back to when he first met Alex before Sid spoke up, "...I would have thought someone who was connected to Mewtwo as much as you were would have realised by now. If you indeed have the same makeup, everyone cloned or injected is more or less your genetic brethren. I was injected with the same Mewtwo cells as you all were. There is no scientific answer to give you... even after countless times of witnessing clones wipe out human and pokemon alike, there is no measure or calculation I could possibly give to examine another's heart or even process the growth of one, only actions and reactions... but it's not saying much that I know now, after being reunited with the children I once loved, that I did lose apart of myself in the process. What I was then, a man simply seeking to protect his own son and daughter... was changed into the monster you see before you." Spence grunted, gritting his teeth. "All the Numbered clones carry Mewtwo cells inside them, enabling them to have supernatural powers and survive wielding a bonded pokemon. All Psyche soldiers have Mewtwo cells inside them, enabling them to have increased strength and abilities as well as the control of a cloned pokemon. None of the clones started out with a soul... but those who weren't originally born monsters who are injected with the cells, can lose apart of themselves in the process. I'm the evidence of this consequence. I could originally control a clone of Cressila because I have the cells, too. You're right, I didn't care about Alex and Sarah, not anymore. I cared little to nothing over Sarah's death either, and I will never consider Alex as my true son. But... you're not really here to talk about me, are you?" Spence sighed, looking away. An awkward silence hung down on them before Spence could finally find the words, "You didn't create Ki, Diseh, and Xalia... did you?" The professor laughed, poking his glasses back in before they fell. He looked to Spence in amusement, "No, I'm not the one. They were born before my time. They were, however, most likely, born the same way as I have created Red, Cathy and Axel in the past. Ki, the first Psyche member, was the one who taught me, after all... But they are special, they will always be stronger than the others, because they were created by something less than real." "Their master..." Spence glared, "Then, if that's the case, then you must know... They said that I'm a clone, too, right? And that man, someone mentioned to me that his name was Zack... Apparently he told me that we were the same, somehow. What did he mean by that?" The professor leaded backward on the controls, chuckling to himself, "You seem to think you're equal to everyone here, don't you? No, that's not quite true... you're trying to find an answer that proves your humanity, that proves you're the same. Even if you have to compare yourself to the enemy, you still presuit proof that you did belong somewhere, somehow. You're trying to desperately find the human part of you. Someone who once walked alongside Mewtwo, someone who abandoned everything when things got too hard and left the pokemon world to ruins, someone who had isolated himself to live in solitude... Spence, compared to you, I'm the most human out of us. Spence... you, and all the clones, do not belong in this world." Spence lowered his head, closing his eyes, "...Knowing what I know now, maybe you're right. Maybe I tried desperately to rebuild Team Midnight just because... I wanted to belong. Maybe I was empty inside at one point, but you're wrong about one thing Sid..." Spence's eyes wondered, "Red was the first clone I met, he helped me realise what I truly wanted after Sarah found me. Sarah and Red are the reason I'm here rebuilding Midnight today. Red died protecting Axel, who in turn eventually found Jimmy and grew to love him as a brother. Axel would've done everything for Jimmy and his family. Even though Cathy was the first person I saw as this... monster... I felt something inside her that night, before she died in my arms. She was sad that Ginatina faded away, not because it meant that it was her life too, but because Ginatina was always with her. Red, Axel and Cathy's pokemon believed in them, I know it. And they in turn cared about them. They had bonds with their pokemon more than any of us, and isn't it the bond they have with their pokemon that keeps them alive to begin with? My bond may have been broken with Mewtwo... but, if there's any evidence to suggest the clones you made had a heart, something to suggest that they had their own soul, that's good enough for me." Spence turned to walk away before the professor stopped him, "Are you trying to convince yourself that Ki and the others are the same friends you knew when you were fighting alongside them?" Spence stopped in his tracks, lowering his head. Everyone eventually made their way to Sarah's house in Lavender Town, some sitting and some standing. Due to Sarah's request back when they had first met her, everyone had removed their weapons and placed them by the door. Liv was reunited with Alex, making everyone some coffee and tea. She still wiped away tears due to hearing of their loss. It saddened her more that all the pokemon Sarah cared for and trained would never see their master again. Blastoise and Umbreon weren't her only pokemon, Liv cared for countless pokemon while Sarah was gone. Spence, without thinking, went to knock on the door. He was reminded of the time three weeks ago. I realised what he was doing, giving himself a sad chuckle before opening the door and joining everyone inside. Spence placed the sheathes of the Midnight and Psyche swords by the door along with everyone's equipment, and joined the others. He passed Trevor who was leaning against the wall, Spence looking to him a hesitation before sighing and turning to him, "You were right... Thanks for the lecture, and telling me what I needed to here. You'll have to get me back one day for that scar and punch I gave you... Don't hold anything back next time." Spence murmured. Spence walk over before standing in front of the group. With a deep sigh and a breath of air, Spence began to speak, "I've been apologising ever since we were ambushed. But, not anymore. You followed me knowing of the risks, and we definitely encountered them. Before you met me, we all had similar fates. You all knew what you were getting yourselves into when you joined my cause. Sarah was a tragic sacrifice. I won’t quit here. If we dwell on our losses, then how are we supposed to progress and defeat Psyche. Besides, if Sarah would have wanted anything, it definitely wouldn't be to quit,” Spence eyed Alex, before continuing to speak clearly and boldly as a leader should, “You asked me to tell you everything I knew. I will. I told Silas, Alex and Trevor everything I knew back then. Everything you needed to know about me. However, there was no way I could’ve known Psyche were using Mewtwo against me. We had survived this long because up until we confronted Psyche at Cerulean City, Mewtwo was whispering to me. It was faint, but Mewtwo warned me about Regigagas and Cathy. I didn’t completely understand it, but I soon realised the truth when I confronted them at Fuchsia and Celadon Cities. That was all that I had kept from you. I had no idea they were actually using me from the start. The friends I mentioned, who fought alongside me when I was young and helped me battle Team Magma, are the Psyche members, the clones that we are fighting. Ki, Diseh, and Xalia. They were my friends, and now, they’re my greatest enemies. They were better than the rest. Before Ki acquired Rayquaza, he was already a talented pokemon trainer. And now, even though he’s a clone of the original pokemon trainer I was knew, he’s probably the strongest pokemon trainer to date." Spence talked about his past the party. A lot of it was hard to say, but he said it nevertheless. "It was when we were captured that Diseh’s clone brought me to Mewtwo, and then, Zack appeared, the man we had fought who was trying to destroy Mewtwo, and then, her... they all told and revealed everything to me. A lot of it didn’t make any sense at the time until Kikyo appeared and started controlling Mewtwo. The master that they were all referring to was Kikyo all along, she created Ki, Diseh and Xalia as clones because they were my friends, and led me every step of the way. The Team Midnight I knew never existed. The real Team Midnight was destroyed by Zack. Zack had to defeat a woman who created Mewtwo to begin with and foil her plans. I think he called her Flarey. With Mewtwo, she created this Realm with the lives of those dying in the teams war. Because Mewtwo created it, and because we all have Mewtwo cells, we’re all apart of this Realm. The Realm is where all the cloned legendaries came from, the pokemon Regigagas, Ginatina, Lugia, Raichu, Dragonite were summoned from the Realm. The Realm was made up of the lives of humans and pokemon fighting the teams war, that’s why Zack had to destroy teams, to stop all that. He was originally a true member of Team Midnight, I never was. The Team Midnight I knew was a fake, a figment of my imagination. I’m not even sure if my friends Chayse and Shiny or my hometown ever existed to begin with. I was used all along by Kikyo, Psyche’s mastermind. If I’m a clone, it would’ve been to bond with Mewtwo and change the world to how she wanted it. But I abandoned Mewtwo and stopped her plans by accident. I’m sure she wanted another chance for me to bond with Mewtwo again, but for some reason, defeating Zack made her change her mind. Now, she has Mewtwo and I can’t sense it anymore. Unfortunately for us, I figured this out all too late. Kikyo has changed her plans and wishes not to change the world but to completely destroy it. We’ll be fighting a different Psyche now. Ki has a will of his own. As the greatest pokemon trainer ever, knowing what he was like back then, he probably plans to change the world on his own accord. Xalia will follow him to that means. I don’t think Diseh is completely gone, he was stronger and smarter than that... but I’m not certain what his true objective is now that Ki betrayed him. I have no idea where the Realm is or if we can use it against them. I don’t know where Kikyo has taken Mewtwo, and I don’t have a clue where Ki and Xalia fled with the clones. However, while they’re gone, we can start by taking Kanto and Johto regions back, rebuild Team Midnight, become stronger, and start to defend this pokemon world. That is what Sarah would have wanted, I'm sure of it..."
Bill leant against the wall and heard Spence's story carefully. He tried to make a judgment, but he wasn't sure. One thing was definite, though. The world still needed them. Bill exchanged a quick look with Gina and then spoke. "Thanks for telling us these, Spence." He was much calmer now. The knowledge of the situation, no matter how desperate it seemed, cleared his mind and filled him with courage. He felt sure... for the first time in a long while. Gina stood by him. She also felt much better. "I guess we can restart, then. We'll fight and free the regions. We might all be injected with clone cells, part of the Realm... But this also means we're stronger, right? So let's use that strength." Bill smiled. "Yeah. No matter the what happened in the past, we're still Team Midnight. Remember that, Spence. The team isn't something finite. The team is the purpose. Midnight was destroyed once. Same happened with Psyche... or Flarey, to be specific. Now Psyche is back. But so is Midnight. Don't let Kikyo's and Zack's words get to you, Spence. Midnight isn't your imagination. We are Team Midnight. Our goals, our purpose... They are all real. And now that we know... we're ready to die for them." Bill and Gina looked at Spence. Gina spoke once again. "Let's make this world a better place Spence. Do you want this? If you do, then we're by your side. We'll tear apart the shadows of the past and emerge in a new light... together." Trevor was sickened by how pathetic Spence was becoming, so he punched him. He waited for Spence to do something. Soon Trevor was met with a strong punch across his face, sending him flying across the ship. Damn I forgot that he packs more of a punch then he looks. He wiped his mouth, a good amount of blood coming from the now swelling cheek. Trevor looked at the ground as Spence stormed out. "I didn't know her as well as you, but I knew someone just like her. ", Trevor mumbled to himself, thinking back to the time of the Colors. The memory of a beautiful woman danced through his mind. At some point Trevor got up from the floor of the airship, his swollen cheek already healed for the most part, and walked out into the daylight of the town. He was slightly surprised to see that everything was still in the same condition as when they left. Trevor looked over at Sarah's house to see smoke coming from the chimney. Then he remembered that Alex's girl was staying there and looking after the place for Sarah. This place will never be the same without her here. I wonder who will look after the Pokemon now. Trevor saw as Bill and Gina walked into the house and he followed as well. He walked a few steps inside before feeling the weight of his katana on his back. "Even when she's not here I feel her rules." Trevor took off his sheath and placed it behind the doorway. He leaned against the wall as he waited for everyone else to get there. As everyone began to show up Spence finally appeared. He passed Trevor who was leaning against the wall, Spence looking to him a hesitation before sighing and turning to him, "You were right... Thanks for the lecture, and telling me what I needed to here. You'll have to get me back one day for that scar and punch I gave you... Don't hold anything back next time." Spence murmured. "Don't worry, I expect to pay you back. And I'll keep you alive until then. ", Trevor smirked at Spence. "Glad to have you back to your old self." He stood patiently as he listened to Spence break down his life story and everything that has happened during their mission recently. A good portion of the info in the beginning Trevor knew due to the Colors. Trevor stepped forward a few steps, "Years ago I started my own rebel group of fighters called the Colors. We tried to slow down the progress of Psyche's control over Kanto, Johto, and Hoenn. Obviously we lost to them, but I want to try again. I want to do this because it's something that my mother did, not because of Teams. She died protecting the last free city of Kanto and I don't want her death to be in vain, not while I'm still breathing. Psyche has used me long enough, Red saw that himself. Latios helped me finish put my memory back together so I remember everything from my past that Psyche tried to erase." He looked at the group, "That's why I'm going back to my code name, Crimson. If any rebels are still in the area they'll know that name. It'll make taking this region back easier if we find more people on our side already." Trevor looked at Spence, "It was the only name that Red would call me so it stuck with me after we seperated. Figured after learning that he's gone I might as well take it back up. Keeps his memory alive." Root listened to everything that was said. Wolf however, appeared to be more interested in his coffee than Spence's words. Once Trevor spoke about his background, Root felt obligated to speak. "So I'm not the only one then?" Root said. She stood up. "While we're all sharing our stories, I thought that I should add why I want to see an end to Psyche." Root paused. "When Psyche attacked Sinnoh, my grandmother was a gym leader, who sent away my mother and grandfather on the last boat out. It has been said that her and her grass-types have been toughing it out, but I don't believe that." "About 17 years later, I was born. At birth, I was given Rotorroot to celebrate the birth from a marriage of a Grass-type master from Sinnoh and a Flying-type master of Johto. Not too long after, my father was hunted and killed. Because of this, my mother and relatives gave me the name 'Root' to wear as a badge of some sort. I guess they meant it to mean the Root of Taking-Back. My birth name is something that has been spoken in awhile. It has been at least fifteen years since I answered to Krysta." "Then, nearly 3 years ago, a riot in Goldenrod caused by Psyche left my grandfather dead." Root sobbed. "Psyche are murderers. Not all of them, but they al should have the guilt." Wolf took notice, and took her outside. "What's wrong? Why did yo-"
"Because I hate them. All my life, it's been like that! It's their fault! Training to defeat Psyche. Why shouldn't I be angry? They practically murdered my family. I know that my mom is in Cherrygrove, but that's it! I-" Krysta stamped her foot. "Root, why didn't you tell me this?" "Don't call me Root. I'm sick of it. And I didn't tell you this because I didn't want you to think differently of me." Wolf sighed. "Look, calm down. I'll talk to Liz and see if she can make you a tea, okay?" "Okay. But don't you dare say anything about what I said." Krysta warned. "Okay." Wolf replied. Eventhough I'm sure they already heard because you screamed it loud enough. Wolf walked back into the house. "Everything's fine. My guess is she is more or less scared. She does get anxiety attacks every now and then." Wolf explained. "Liz, could I have some tea to take to Krysta, please?" Last edited by Haunted Water on Thu Feb 21, 2013 8:35 am, edited 1 time in total. Spence listened to the others as he stared into space. Spence was thinking about the friends that he lost, and now Sarah... he had nobody from his past by his side anymore. He could relate to Trevor, now Crimson, but for how long...? Spence stood as the ghosts of Ki, Diseh and Xalia, and now Sarah, stood behind him, like an omnious past still haunting him. Sirens went off as explosions from the upper floors made debris fall from the ceiling. There was no doubt in Diseh's mind that the building wasn't going to hold out for much longer. Axel followed behind with haste, Zoroark ducking around every corner to see if it was safe before walking through. "Finally, we made it," Diseh exclaimed, pushing buttons to a security door before it opened, a large computer room within, "We can get everything we need in here." "Why?" Axel growled, "What could you possible want?" he examined the room. It was a large super computer of a modem protruding with a series of wires and cables. It sure looked secretive. "Well, I'll tell you when I find it..." Diseh sat down at the keyboard with another laptop in his disposal, he plugged his laptop in and started hacking away, "Damn... all these barriers... the professor's password can only get me so far... ah, bingo," Diseh grinned. "The whereabouts... of Groudon and Kyogre's location... Ki's more clever than he leads us to believe... and in such an obvious spot, too..." Diseh started to murmur under his breath, "Hmm, nothing about the Realm or how about he plans on using it... that's a shame..."
"Kyogre? What the hell do you want with that?" "Who knows... a war is coming, after all. The Psyche government is dead thanks to Spence, but another Teams War is inevitable, and we need a deterrence for Team Solaris to exist..."
"Diseh..." Axel sighed, looking upward as a shake of the building came to their attention. Outside, Mewtwo was charging for its ultimate attack. "What?! What the hell is that?!" "It's--" Diseh gasped, "Axel, get down--!!" The both of them ducked for cover as Celebi threw its most powerful barrier up. Outside of the barrier, the world filled with a blaze of fire before the room was consumed by an engulfing light. The Psyche building was being completely demolished by Mewtwo's Hyper Beam. Ki stood upon of the highest building, almost staring across the dark cold horizon and witnessing events overseas himself. Xalia appeared behind him, almost completely exhausted. Xalia drew a couple of more breaths before answering, regaining her compossure, "It's as you expected, Number VI, our master's clone, took the bait. But... Spence, Diseh and the rebels got away... They seemed affected by the Mewtwo cells... They're not clone soldiers." "Not yet, anyway..." Ki thought to himself, "I don't care to admit it, but Diseh won this round... depending on his next moves, that is... Xalia, what of the clones you've recovered?" "The clones are stable, for now. They'll be asleep until we've found them a pokemon each, right?" "Indeed..." Ki turned, walking towards Xalia before taking her in his arms. Xalia's eyes lit up before closing them solemningly, holding him in a lover's embrace. Ki felt up her back to reveal a mark of a scar, "Diseh's found a way to use weapons from the other world it seems, so has Spence and the other's... that is quite the nuence, still, he didn't managed to harm you any further, however, he did weaken you temptarly..."
Ki turned, walking away. Xalia frowned, extending a hand, "I'm sorry, Ki... I thought, I thought that was what you wanted me to do." Ki stopped, letting out a sigh, "No, Xalia... from now on, let the clones and I do the fighting. You don't have to fight any longer. We're not our master's pawns anymore. We can't be used by her anymore. We have wills of our own now..." Ki glared to the distance, "To think Kikyo was the one... When I was born, I didn't know where I was or where I was going, I only knew of one person's face... yours... but I was alone in the darkness. When I killed Archie, my first action against my will... My memories flooded back to me... All I wanted since then was to find you again and escape. That's why we needed to play along, and use Spence to draw out Kikyo... And now, we finally have our chance..."
Ki shook, his lance jingling behind him as well as Spence's buster sword, "I will recreate this pokemon world, and when I do, we will finally find our promised land... Xalia, I promise you..."
"Spence destroyed what was left of that, we don't need to be puppets for Kikyo any longer... now, we can create our own world, our own team..." Ki turned to her, "I've won this pathetic, wretched war. 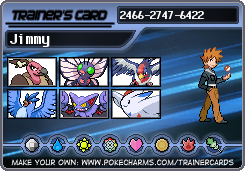 I've finally taken Sinnoh and Unova for my own. Now finally, I can live for myself... our Team Psyche!!" After Mewtwo's attack, Diseh and Axel awoke among the ruins of Saffron City. Half of the city was gone. Celebi's barrier disappeared in a flash of light. It floated barely before finding its master nearby and returning to him, Diseh cracked his neck pulling himself up. "Jimmy..." Axel grunted, finally awake. With the help of Zoroark, they pushed a pillar of cement to free themselves before gazing across the city. It was so quiet, and eerie... Axel snarled, "So, this is Mewtwo's true power... and we wanted Spence to be capable of all this...? It makes me sick just thinking about it..."
Diseh grinned to himself, jumping casually from debris to debris like hop, skip, jump, "Not everyone can control Mewtwo, that's what makes Spence special... Still, even when Spence had Mewtwo, there was no way the same Mewtwo could accomplish this much. Our master, Kikyo, sure is something..."
"Kikyo, who the hell is that?" "Our creator... the one who killed our originals, and made Ki, Xalia and me... Spence, also..." Diseh's eyes wandered before seeing a glimpse of a body in the distance. Axel turned to him, wondering what he was looking at before taking a look himself. Axel gasped, dashing over with Zoroark. Axel skidded over, not sure what to do. If she were still alive, moving her would've caused more damage than good. Diseh walked over, examining the daughter of the professor's. "You're..." Diseh shook his head, "I guess you didn't make it, huh..."
Axel growled through his teeth, tears welling up inside, "Spence....... he was supposed to protect you...... those bastards....... huh?" "Sarah, Sarah! You'll be okay, alright? Just stay still!" Sarah looked up to the man beside him, Diseh... Sarah gazed into his eyes before they slowly faded, "Fa........ ther......."
Diseh watched as the young girl slowly perished, a blank look over his face... Suddenly, his eyes widened. Memories of a woman, a beautiful woman... Memories of his time with Team Solaris, memories of the time with Spence and the others... And a woman... Tori... Sarah was the splitting image of her. Diseh ran towards Sarah, embracing her and shaking her as if trying to bring her back, but it was impossible. "Tori... Tori... No, no... This can't be... This can't be......."
"Diseh, are you okay...?" Axel wasn't sure what was happening. "No, this isn't happening....... Tori...... Tori...... No, no...... NO, NO, NOOO........"
Diseh suddenly screamed into the sky, Sarah laying dead in his arms, "AAAGGGHHHHHHHHHHHHHHHHHHH!!!!!!!!!!!" General Demeanor: Outgoing and loud, willing to try anything once. Cares deeply for his family and friends. How he/she sees himself: He sees himself as a simply amazing person. Best Qualities: Loyal and friendly unless he has a reason not to be. Worst Qualities: Can be very aggressive, contrary to his personality he hates to lead. Childhood History: Was born and raised in Mauville. He joined Psyche in order to get protection for his parents. He and Silas gravitated towards each other and became fast friends, and they got lucky enough to end up on the same squad. As Tony's training progressed, he started to specialize in desert operations and developed an affinity for the types that favor those conditions. When Silas approached Tony about leaving Psyche, Tony was definitely intrigued but refused because he couldn't leave his family. Now, with his family set up in the desert under the protection of Tony's Steelix, Tony's signature and most powerful pokemon, he has finally been able to leave. Recent History: After leaving Psyche and hearing about the disruption in Kanto, Tony decided that that would be a good place to start looking for Silas. He followed report after report trying to track them down, but as of yet, he hasn't found anything. Plans For the Future: Find Silas and help take down Psyche. Hair and Eye Colours: very short brown hair, goes down to the eye brows, green eyes. General Demeanor-serious and crash, could easily rubs people the wrong way, doesn't let himself get close to people that easy. How he/she sees himself: sees himself as a person that has lived their life and wants to help those younger find their way. Best Qualities: resilient never gives up. Worst Qualities: his crash personality tends to be considered as rude. Childhood History: Was born and raised in Fuchsia City in the Kanto region. As a child Blaine always wanted to be a coordinator in the contest world. He enjoyed watching Pokemon league matches on tv, but nothing grabbed his attention to the contest battles. Not only did you need skill but you needed style and grace in order to be top dog. Eventually his parents were able to send to him Pallet Town to go visit Professor Oak (I'm going to assume Oak was still around at the time he was 10-12) to get his first Pokemon. With his trusty Squirtle in hand, nicknamed Shelly, he took to the contest scene, and was a force to be reckoned with. He fought hard around the regions competing in various Grand Festivals, even getting a few invitations to the esteemed Wallace Cup, never winning but always placing in the top four. As Blaine started to grow older, and people not wanting to compete with him, he strayed away from the contest scene having fulfilled his lifelong dream. Recent History: Moved back to his hometown to be near his parents to help take care of them. Wow, already you've got three new characters joining. This is my first RP. Here's my Application. Body Type: Skinny. His left hand is slightly undeveloped due to radiation. Burns on his right calf and arm. Average height. Hair and Eye Colour: Short blond hair with one brown streak on the left. Pale blue eyes. Face Type: Simple. A lazy and calm look. Clothing: Blue T-shirt, with black tracksuits pants with one small rip in them. Camo boots. Speech Style: Unknowingly condescending. Slightly negative. General Demeanour: A bit pessimistic on the outside. Can be caring when comforted. Once he has a goal he is very persistent. How he/she sees themselves: A bit narcissistic. Thinks that everything is within reach of him. Best Qualities: Wont stand down from anything. Very persistent. Is street smart. Has a great memory. Worst Qualities: Not very social. Likes to be in control. Doesn't really listen. Thinks he always has the answer. Tries to make everyone happy. Samuel, at the age of 14, awoke in the middle of a burning house, hearing screams. He rushed around the flames, looking for the screams. He couldn't find the owner of the screeching, and scared for his own life, left the building. He ran out and saw a burning meadow around him as well as houses burning down. A large pokemon was burning the small town. He looked up and saw a fiery bird flying over the town spewing fire. The bird blew at him. He had fallen to the ground in exhaustion. Ready to die, Samuel shivered. He looked up and saw the bird falling to the ground next to him. He looked over and saw a turtle standing a few metres away from him, spurting water at the fire. A man stood next to him out stretching his hand. He picked Samuel up and asked his name. Samuel didn't know. They stood there for a moment and the man started to run. Samuel watched as the man ran away, a few people chasing him. Samuel looked down and saw four pokéballs staring up at him. He picked them up and ran the other way, the pokéballs hidden in his clothes. After a few hours of running away from the burning town, Samuel stopped. He searched his clothes and found a note with a single name. It read 'Samuel'. After reading it he called himself that. He looked around and found no one. He sent out the four pokemon. He watched as they walked up to him slowly. One of them hugged him. He turned to see one of the people that was chasing after the man. Samuel ran with the pokemon ahead of him. He watched as a knife flew away form Samuel and hit one of the pokemon. The other three turned and pushed the pursuer back. Samuel walked over to that man and read the small writing on the pursuer's hat. Team Psyche. Samuel walked back to the pokemon grabbing the knife. He plunged it into the man, killing him. After that day Samuel set out to avenge the poor pokemon by destroying Psyche. Searching across the Sinnoh region for years through the war. Current Location: Hiding in the forests of Sinnoh. Last edited by James86134 on Mon Feb 25, 2013 10:01 pm, edited 2 times in total. Took me awhile to get a nice opposite to Trevor. Body type: Slender and strong. Gymnast physique. Slightly taller than most women, but not by much. Hair and eye colours: Gray colored eyes with a slight hint of blue. She has long brown hair that is usually kept in a ponytail on missions. Face type: Confident and stern. Other physical features: Generally all around a beautiful woman. Clothing style: Usually wearing a spandex black shirt with a forest green vest, with tan Capri pants and light green mountain shoes. On occasion she'll wear a nice blouse with jeans to look nice. A sheath of different type of arrows and her dark green bow is always on her back. She usually has gloves on as well. Speech style: Silky voice with a light tone. General demeanor: Rachel is very direct in her approaches and is strong willed. She doesn't like to sugar coat things and is blunt with most of her conversations. Though Rachel does like to have a good time and can very well show that, but when it's business she doesn't know the meaning of fun. How he/she sees himself: A well balanced person. Nothing she does is wrong in her eyes, leaving it up to others to show her the right path sometimes. Best qualities: Organized and thinks out every possibility for her cause. A strong fighter that can take out several men twice her size. Trained to see in almost any condition, as well as keen senses. Worst qualities: Rachel becomes absorbed in her goals and is hard to break away from them, even if it's an obvious lost cause. Her ruthlessness on the battle field usually leads her to lose her compassion for others, causing her to follow any order no matter how monstrous. Childhood history: Born and raised to a loving family, Rachel had a bright future ahead of her. Everything changed once Psyche began attacking the region. She was a young teenager, about 13-14, when Psyche evaded their city. The Gym Leader, Gardenia, tried her hardest to defend the city, but she was eventually defeated and the city fell into Psyche's control. Her family retreated into the Eterna Forest to live in hiding. Rachel already had obtained a Pidgey in the forest and was taught to battle by her older sister Catherine. Eventually her father thought it would be best for Rachel to learn how to fight without Pokemon in case she was without them at some point. He trained her in the art of archery and martial arts. Her sister Catherine was always intrigued by Ghost Pokemon and would always take her little sister with her to the Old Chateau. They would always battle the Pokemon that lived in the vacant home, Rachel honing her skills as a trainer while Catherine caught a few of the Pokemon there. During one of their outings, a group of Psyche members found them running through the house. Psyche was apparently there to find Rotom and use it in experiments. Catherine and Rachel battled to protect the Pokemon in the house, but they were no match for the cloned Pokemon. During an attack that would of killed one of Catherine's Pokemon, she recalled it just as the attack struck her. Rachel watched in horror as her sister fell to the ground, not getting back up. She became frightened and ran as fast as she could into the forest. Rachel eventually lost Psyche, but ended up losing herself as well. Crying in the brush, she jumped as she heard the buzz of an insect Pokemon. Rachel looked up to see a Yanma staring back at her, buzzing from side to side. The Pokemon was very curious in the girl. Rachel looked around and found some berries on the bush she was next to. She fed the Yanma and immediately befriended it. The two managed to find their way back to Rachel's home in sadness. Her family learned of their daughter's death and went to the building to retrieve the body; however, the body wasn't there. A few months after, Rachel decided to avenger her sister's death and left the Sinnoh region. She traveled across Johto then Hoenn, only to learn of a young man by the name of Crimson and his small group of rebels that were interrupting Psyche missions in the area. She joined his cause and became his second in command. After the group was destroyed and disassembled everyone's whereabouts and statuses were unknown. Recent History: Unknown up to the point that a new team has surfaced with a man going by the name Crimson one of the members. Rachel is on her way to confirm if it is the same man. Plans for the future: Top secret. Alex stood in the corner heavy contemplating Spence's words. He held Liv closely to him as she leaned her head back onto him. The two had gotten through their "I missed you's", but unfortunately it hadn't exactly been a joyous reunion. Liv sensed something was wrong as soon as he'd walked through the door. The way he hesitantly left his knife at the end table and he met her gaze with sunken eyes. She wanted more than anything to bring the smile back to his face; The fire back into his eyes, but it was to no avail. Alex stood by as the others spoke. He chose to keep silent as he heard their stories. All he could really do was think. "If there's one more thing I could ask you, Alex...if I ever do something that Sarah wouldn't condone or do something that she would never want... I want you to be the one to stop me, in any way you can, even if it means destroying me." Destroy...Spence...am I really capable of that? I couldn't even save Sarah... Alex cringed at the thought once more. Hopefully...it will never come to those circumstances..
Liv sensed saw the pensive look in his eyes and clung tighter to his arm. Her role in this may not be on the battlefield, but she wanted to do all that she could while she was able. A moment after, Liv was called on by Wolf for a cup of tea. Happily, she complied and left for the kitchen. Alex gave Wolf a stern look then glanced to the girl now known as Krysta. "Hey...I'm sorry about your family. It's a damn shame what these guys are doing. Even worse that they're getting away with it." Alex exhaled sharply. "Its one of the money reasons we're going to take this world back." Liv returned, holding the warm tea in both hands. "Be careful...its a bit hot." She smiled warmly at Wolf before handing his the mug. Jimmy sat with his legs crossed in the corner of the room. He tended to Arbok and Rhyhorn as the group went on. "Heh...don't I just feel the fool? All of you have some deep seated meaning or truth behind being here and I just...needed a place to crash." He chuckled lightly trying to lighten the mood. He sighed after noticing the lack of positive response. "I guess...we just had it easy. Wealth, proper education...sure our parent's weren't around, but we could deal." He glanced back at the ground for a moment. "After all...we had Axel to show us the ropes...alas, time does go on. As does our battle. We're gonna show these Psyche bastards who they're really messing with." --- At the dawn of the new day, we went back to the ruins of Saffron City and found Sarah’s remains... Alex and I alone buried her at the Pokemon Tower, beside her true parents, Diseh and Tori... After that, we fought for the Kanto and Johto regions alongside everyone who believed in us... There were many battles, but none of them were as tough as the likes of the clones we had previously encountered... The Psyche government we all knew, its reign over the world, was finally over... Was it because Ki and Diseh were divided now? I don’t know... or perhaps the appearance of Kikyo, the one who began all this...? Sinnoh and Unova remained unexplored. “I see... my Limit Break... still, after two auras, I’m completely drained... I’m still not a match for Ki...” Spence spoke to himself, leaning up when his breath finally caught up to him, “Let’s go, Shadow.” The Umbreon who was watching in the distance cried, running up to Spence as he pulled himself up to a stand. Spence now had grey spikes of hair. There was no reason to hide his age now. Two hours later, they had traversed down from Mt. Silver. The Umbreon was Sarah’s old pokemon who was always following behind him... Spence climbed onto his motorbike, returning Shadow to its pokeball before stepping on the accelerator. Spence rode down on his bike before jumping onto a road that lead to Blackthorn City... Spence entered a dark tunnel. Finally, Spence stepped from the bike and turned to the building, Team Midnight HQ... Spence huffed and puffed, waking towards the front of the large complex as two Midnight guards saluted him, beckoning the opening of the doorway. All Midnight members wore black sneaking suits of a sort. An “M” as their chest plate. Spence walked through inside. Down the hallways, and up an elevator, Spence finally found the top floor. The tenth floor. His office was nearby. He dreamt of a good sleep for a while. It had almost been a month now. Walking towards his office, Spence saw Scarlet sitting in the waiting room beside it. He hesitated. Scarlet woke up just after Spence tried to sneak passed, spotting a glimpse his black coat brush into the doorway of his office. Scarlet grinned, giving a stretch before standing from her warm seat. Spence sighed, placing his sheathes and pokeball belt beside it before sitting behind his desk. He slouched into his chair as he lifted his feet onto the desk... he could’ve easily fell asleep until Scarlet entered his office. Spence reopened his one eye in frustration before placing his feet back down upon the floor. “Oh...” Spence thought to himself, crossing his arms. “Are you sure of that?” Scarlet questioned. “Thanks, that is all...” Spence nodded to Scarlet before watching her turn to leave. Scarlet stopped in her tracks, brushing her red hair behind her ear. The door slowly shut behind her as Spence sighed, placing his feet up again before trying to relax. His eyes slowly closed before dozing off to sleep. Painful memories resurfaced as he dreamed. Samuel slowly trudged through the mud. He knew the trees concealed him, but he just felt... Off. Silence surrounded him. It followed him. He quickly looked around, noticing only green and brown. He pulled out his map. 'I need to get here.' He thought as he pointed to the docks. He slipped the map into his pocket and cringed as it crinkled, breaking the silence. Again, he looked around. He sighed in relief. The mud slopped around, strangely silent. Eventually he came to a darker area of the forest. The sun was pushed away by the thick branches of the trees. He cautiously slipped out his knife. As he walked he turned at different directions. A twig snapped next to him. He turned speedily. "What are you doing out of your pokéball?" He whispered to Stimpy, his Squirtle. He Squirtle just lovingly looked up at him. "Fine, but you have to make no sound." Stimpy slowly trots along with him. They came to a break in the dirt path. Samuel pulled out the map again and carefully examined it. His eyes wandered around the sheet of paper. He started to head down the left path. *snap*. He looked over his shoulder and saw Stimpy innocently standing there, a broken stick at his feet. "You might want to be a bit more careful." A voice echoed. "You never know. A villain might come get ya!" A shadowed figure stepped out. "Like me." "Pokemon are returning... Life is back, finally..."
Bill Jackal stood among the Viridian Forest's trees. Reports said that Pokemon were returning to the places where clones disappeared, so he and Crimson had decided to check on it and ensure everything was well. Bill smiled. After 4 years, their efforts were beginning to pay. Kanto, Johto and Hoenn were free... his hometown, Rustboro, was now empty of Psyche. His parents could finally rest in peace. Those four years had left their mark on Bill. He still wore the same black outfit and jeans despite the Midnight dressing code, but one could tell by looking at him that he was now hardened and more determined than ever before. The scar that run down his face was a gift from a Psyche soldier 2 years ago. Bill still remembered that fight. He had almost lost his life when the soldier broke one of his knives. Later on, he had picked up the enemy's katana as a replacement to his lost blade. Gina Sabbath opened her eyes as the sound of a motorbike was heard outside. Spence? She picked herself up from the chair she was slumped on and grabbed her vest, the only piece of the Midnight outfit she used to wear. 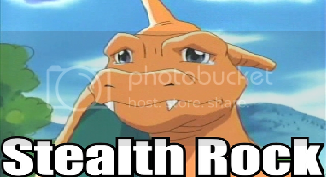 A Pokeball rolled on the floor... Kingdra's. Gina smiled. The Seadra was a trade from Bill. She had given him a Scyther... he had said that this would keep them close together even when separate. But still, Gina was missing him. She started to move towards the office but then thought of Spence. He would probably be dead with exhaustion, so she decided not to bother him. Just then, Scarlet came out. Gina made a wave at her. Four years have come and gone, and Trevor, now known as Crimson, has accomplished many of his goals under Midnight. Once the original members established their first base in Kanto, Spence decided to elect the Elite members of the team. Crimson was the first Eilte, the second in command. He didn't really know what to feel about it, but he couldn't but feel somewhat prideful. Eventually the luster wore off as he began continuing what he started as the Color leader. After Johto was reliquished from Psyche's remaining control, Crimson wanted to immediately go off into Hoenn. He told the team about the the regions stronghold for Psyche, Lilycove City. That's where Midnight struck first. Crimson went out after the academys that had destroyed his life. While the rest of the team was taking down the Psyche bases, he asked Bill to help him find the academys and free all the children there. The two of them managed to destroy the evil places and free many of the brainwashed children. With the help of some of the freed Psyche pokemon, Midnight was able to un-brainwash the children. Most of them had no where else to go and decided to join the team, leading to allow enough people to guard multiple bases. After everything that had happened Crimson still felt slightly alone. He went to search his old base in the Hoenn region. It was run down on the outskirks of Lilycove. Crimson decided that he wanted to fix it up and use it as Midnight's first base in the region. It took him months, but the base was soon up and running. The emblem on the front of the base was changed from a roulette of colors to a black 'M'. The Color emblem was kept and is in his room at the Midnight HQ. Crimson stood among the tree branches, his outfit slightly different from the old days. He wore black cargo pants with black running shoes. Like most of the other original members of the team, Crimson didn't go by the exact uniform code. He wore a crimson T-shirt with a black leather jacket with a large red 'M' on the back. He was observing the behavior of the Pokemon in the area as well as the amount of cloned Pokemon in the area. Venusaur walked out from under the brush. Crimson had Venusaur use Sweet Scent to lure any nearby Pokemon close so to help monitor the progress of the natural order. His childhood friend had grown a lot during the four years, mastering some of the more difficult moves for a Grass type. Venusaur was playing with a few of the Bug, Poison, and Grass Pokemon. Crimson smiled as he wrote down notes of the types of Pokemon he was seeing, marking on the environment as well. He finished and placed the notepad back into the pack. "Alright bud, it's time to head out." Venusaur motioned goodbye to the others and ran off after Crimson. The two met up with Bill, who was waiting along the tree line. Bill welcomed him. "Well good news from my end is that several Bug, Poison, and Grass types have come back. Though finding them was all thanks to Venusaur's scent. How's things on your end?" Just then Crimson's phone began buzzing. He grabbed it and looked over at Bill, "It's HQ." He answered it, "Go for Crimson." Wolf stood atop a hill. He was in his normal dress, but since 4 years' time, had his hair dyed a midnight blue. His and Krysta's phone rang, both showing a number and a caller I.D. The two stopped. It has been awhile since they heard from Midnight, and lives moved on. Wolf nodded. "Keep at it. I'll get this." he said. "Now's not an ideal time, but go ahead." Wolf pulled out his sword, newly crafted and still in need of a name. This all started about one year ago. A job from Torren was noted to be tampered, eventhough it was sent electronically. Upon investigation, Wolf and Krysta uncovered an organization of Hunters, known as the Night Stalkers. They steal jobs from freelancers. They were a group with no agenda but ripping off people and makinga profit. Or, as Krysta referred to them, money-hungry corporate assholes. Well, upon this night, the two carried out their first major strike against the group. It was going good, until Wolf and Krysta unknowingly ran up the hill in the middle of the stronghold. Well, at least they had a plan. Wolf made careful to grab the device - a portable computer - from its place without setting off any alarms. They had gone unseen up until now, and wanted to keep it that. "Inspecting patrol is one minute away from the room, babe. Hurry." Krysta informed. "I got it. Coming to you." Wolf came out the same way he came in; an obvious hole in the wall. He began to climb up the steps of the wall when an alarm sounded. Wolf looked down to see the motion sensor he had just passed. "Dammit. Torren, we have to go loud. You know what that means." "Got it man. Get to a high place." Torren replied over the noise of helcopter rotors. "You two had an escape plan and didn't tell me?" Krysta said. "I didn't want to worry you. Besides, the helicopter has Night Stalker markings, they won't expect why it is being used." "Elite Crimson, it's Scarlet. When you're finished with your mission, I'll be flying to Lilycove City myself to look after things while you, Silas and Bill are gone. The Boss wants a meeting with you all at Midnight HQ. It's about recruiting new members. And, another thing..." Scarlet brushed her hair behind her ear again as she whispered, seeing Gina walk over and waving to her while still speaking on the phone, she turned, "...Have you heard any word from Wolf or Root yet? The Boss was hoping you'd round them all up... like you knew. I'm worried about them, we still haven't seen either of them for months. Crimson, be careful, alright? And give Bill a message for me... Gina misses him, so don't keep her waiting!" Scarlet smiled and gave Gina a wink, "Until next time, Crimson." Scarlet sighed as she hung up her phone and pocketed it, she turned to Gina in a smiled, "It's been busy, I'll tell ya that much. Spence has been doing nothing but training, I feel like I've been running things lately. Gina, do you mind? I've got to fly a helicopter out to Cinnabar Island. I have to pick up Jimmy." A young and short kid stepped out of the brush, hopefully to scare the unexpected trainer. He laughed to himself as the fluffy Pikachu on his shoulder sighed. The kid was a runt, wearing a black collared shirt and dark jeans and boots, he was around sixteen and a bit rough around the edges, but he looked like and was easily mistaken as a twelve year old, "Ahahaha, sorry, I couldn't resist... You just looked so lost, besides..." the dark red haired kid gazed around, "Why are you wandering in the middle of nowhere for? Blackthorn City's in that direction." He pointed behind him. "Come on, I'll give you a lift," the young kid pulled a pokeball out from between his fingers, releasing the pokemon a flash of light. It was a Dragonite, "Draco, let's fly outta here. You coming?" The kid turned, extending his hand towards Sam, "I haven't seen a trainer not apart of a team for awhile now... My name's Leo, nice to meetcha! My friend here is Sparky," he grinned, looking to her as the tiny Pikachu eyed Samuel, "What's your name?" After they had shaken hands, Leo climbed onto his Dragonite and helped Samuel climb on. Scarlet was piloting the helicopter, just reaching the sea for the main land. They weren't too far from Cinnabar Island now. She glanced at Gina beside her, who seemed as though she had something on her mind, "Are you okay, Gina?" Scarlet smiled to herself, pushing the helicopter downward to fly just over the water, "Don't worry, you'll see Bill again real soon. Crimson will make sure of it." Scarlet's eyes gazed, staring blankly, "You know... Ever since 4 years ago, Spence has been losing more and more of himself. Ever since Sarah died, even though the rest of the members encouraged him as their leader... It just doesn't last for very long. Hopefully, when everybody's reunited again, Spence will be his old self again." She smiled sadly, "All he ever does lately is train himself and his pokemon at Mt. Silver alone... I wonder if he's doing it to protect us, or if it's to keep something deep down at bay... his old friends Ki, Diseh and Xalia are the clones we'll eventually have to defeat... I know that must be hard for him."